HAWTHORNE, New York (WABC) -- New York's governor made a special stop during Thursday's snowstorm to help a stranded motorist on the side of the road. Gov. 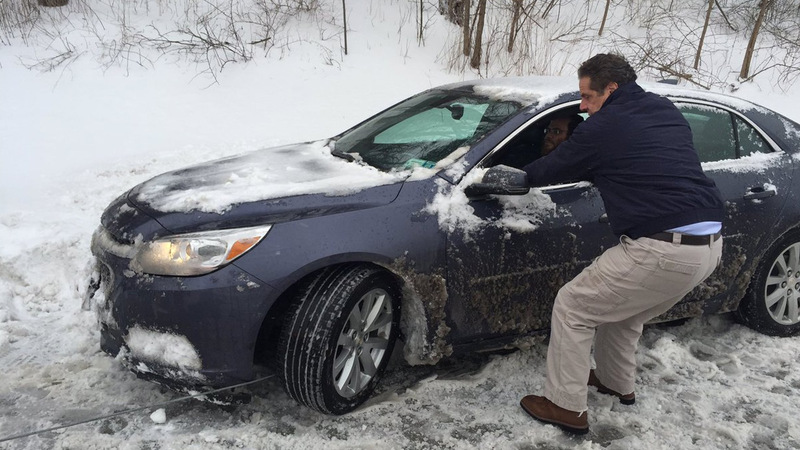 Andrew Cuomo was touring areas affected by the storm, when he came upon a vehicle that got stuck in the snow along the Sprain Brook Parkway near Hawthorne in Westchester County. The governor got out and helped get the driver back on the road and on his way. Gov. Cuomo traveled between New York City and Long Island during the storm.